In an effort to help as many small businesses as possible improve their online marketing, we're continually developing new free tools for our clients and website visitors to use. We're currently updating the links to these Resources; please check back soon to be able to download them. 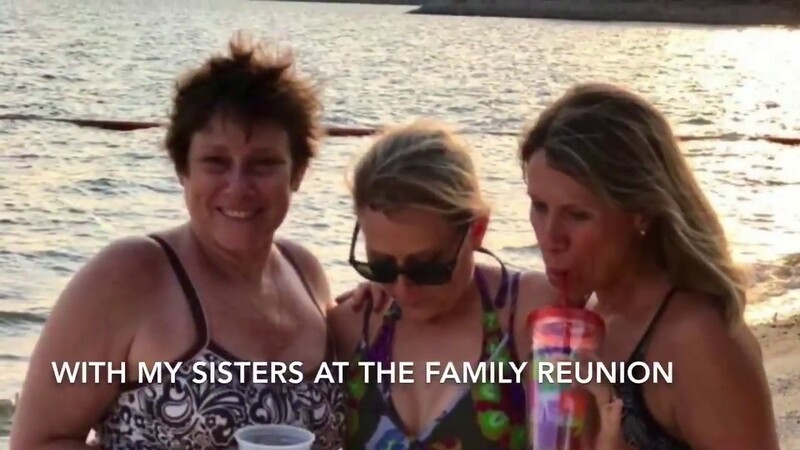 Boomer Cashout sample chapter - The book that will help you increase your business’s value & marketability to sell for retirement with affordable online tools. 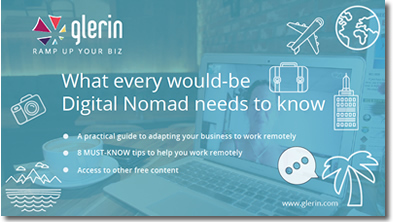 What Every Would-Be Digital Nomad Needs to Know - A practical guide to adapting your business to work remotely; includes 8 must-know tips. 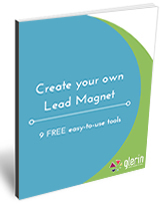 9 FREE easy-to-use tools to create lead magnets - Lead magnets are the best way to start building your email list. Use our 9 Free Tools pdf to help you get started. 10 point checklist to increase leads on your website - Use our checklist to help review your site for common reasons it's not generating enough leads to fill your pipeline. 21 little known things you can do with marketing automation - If you think email marketing is the same thing as marketing automation, you're in for a surprise. 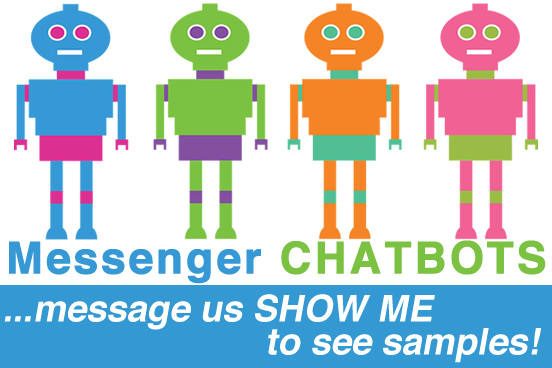 Email marketing is just one small piece of true marketing automation. Brand Position - Perception vs Reality - Correct misperceptions about your product or service to help increase sales. Find out how Rolling Stone magazine increased ad revenue by 47% in one year by addressing misperceptions head-on. 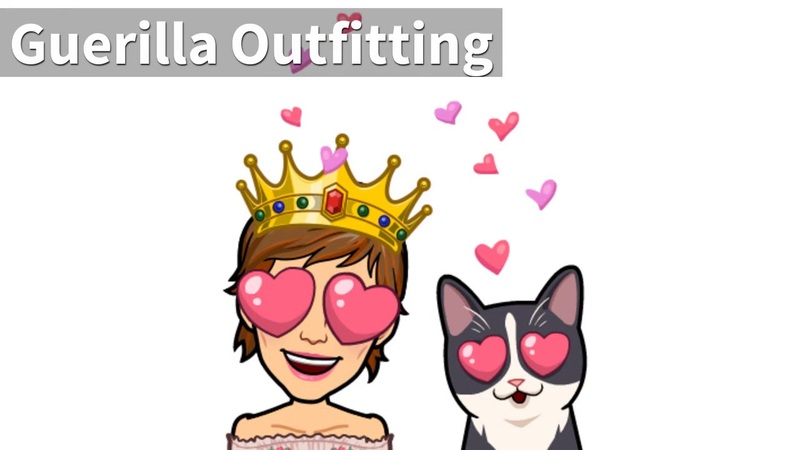 Business Prospecting For Communities, 8 lessons from dating - At the end of the day prospecting for new businesses is like dating. You have to know who's a good match for you and do what it takes to attract and meet them. Creating a marketing plan can be as easy as making a sandwich. 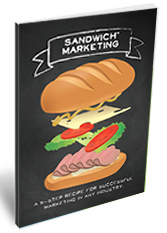 Sandwich Marketing booklet - Understand the 5 layers of Sandwich Marketing to help you plan your own marketing campaign. 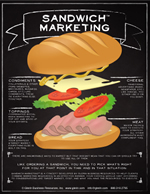 Sandwich Marketing infographic - Sandwich Marketing explained in an illustrated poster. 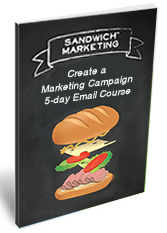 Sandwich Marketing 5-day email course - use our 5-day email course to delve deeper into Sandwich Marketing. You'll get an email a day for 5 days, and a downloadable worksheet each day to help you work through that day's homework. Work through defining your goals and strategy, the tactics you'll use, advertising requirements, and how you'll use your website, collaterals, and social media to reach your goals. Stop failing at online marketing! Start working remotely in your business!